Whatsapp has launched its new version of the application in which you will get video call feature. The video calling feature is officially launched by WhatsApp but the update is available for those who joined beta tester program means if you have joined beta tester program then update the WhatsApp in the new version of apk. 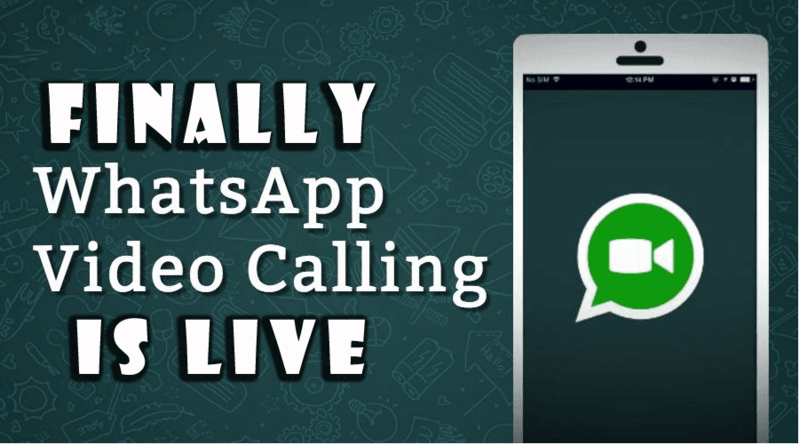 Whatsapp Video calling feature– Hey, guys, I am here with another brand new article. The article is about how to place video calls using WhatsApp, yes you have heard right Now you can make video calls officially on its official app. As we know that the WhatsApp app becomes a basic need of the everyone who has android phone, mostly android phone have WhatsApp installed Also, it become basic need for chatting with friends family and colleagues , With the help of WhatsApp we can share our important movements like photos,video gifs, and voice messages, even we can place audio calls but now we can place video calls using official WhatsApp .The Gb WhatsApp has already feature of video call but has not integration to the server , As we know that the WhatsApp has recently added lot’s of features also it has added bold italic like an option but now it’s going to plan big thing such as video calls. As we know that the WhatsApp has become popular among the people, almost everyone loves WhatsApp, according to me WhatsApp has crossed 1 billion users, even on the play store WhatsApp has downloaded 1 billion above because of easy to use. Why I like WhatsApp application more than other, the simple answer is its user interface Recently we have shared about Google allo new messenger but now Whatsapp new video calling feature. Whatsapp is a trustable app for everyone who chats with their friends family and planning to make friends on WhatsApp. 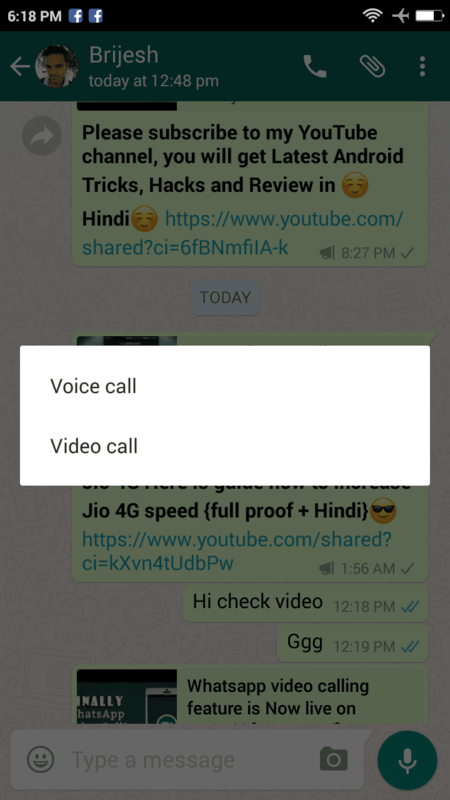 Recently WhatsApp has added lot’s of new features like link Preview, Group sharing option, Images sharing and GIF support , Google backup option added and introduced attribute options like bold, italic, and strikethrough But now it has launched its new feature named video calls, hmm yes it has launched its new feature video calling. 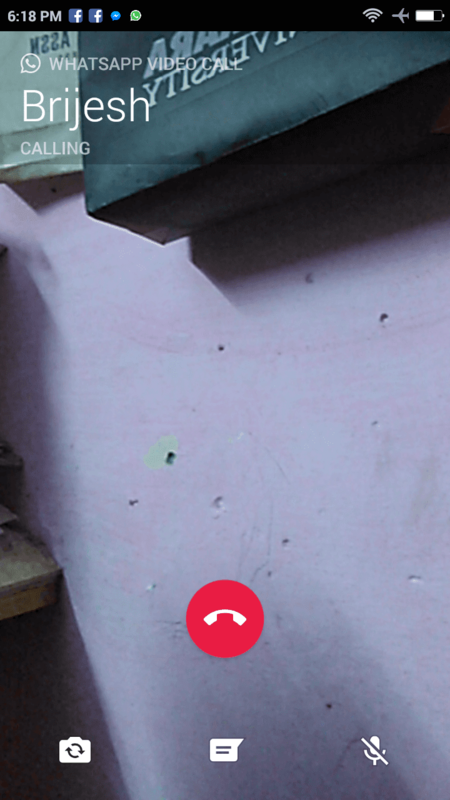 WhatsApp video calling feature has some bugs , the bugs are minor, not major that why it is available for beta tester after testing completes it will available for normal users. So guys in this article I have mentioned how to place video calls using WhatsApp. Now the WhatsApp video call feature is only available for the beta tester but you can download the app from above-given the link and get the official video calling feature. As I told you above the application is the beta testing stage so it can have some minor bugs, not major bugs , but don’t worry I have tested this feature and it super cool.